48" (1220 mm) cut Ariens Max Zoom 48 (model 991085 with serial # breaks 000101 - 009999, 010000 - 019999, 020000 - 029999, 030000 - 044999, 045000 - 049999, 050000 - 059999, 060000 and onwards), Zoom XL 48 (model 915147 with serial # breaks 000101 and onwards and model 915165 with serial # breaks 000101 - 009999, 010000 - 019999, 020000 - 020999, 021000 - 034999, 035000 - 044999, 045000 and onwards zero turn ride-on lawnmower models. 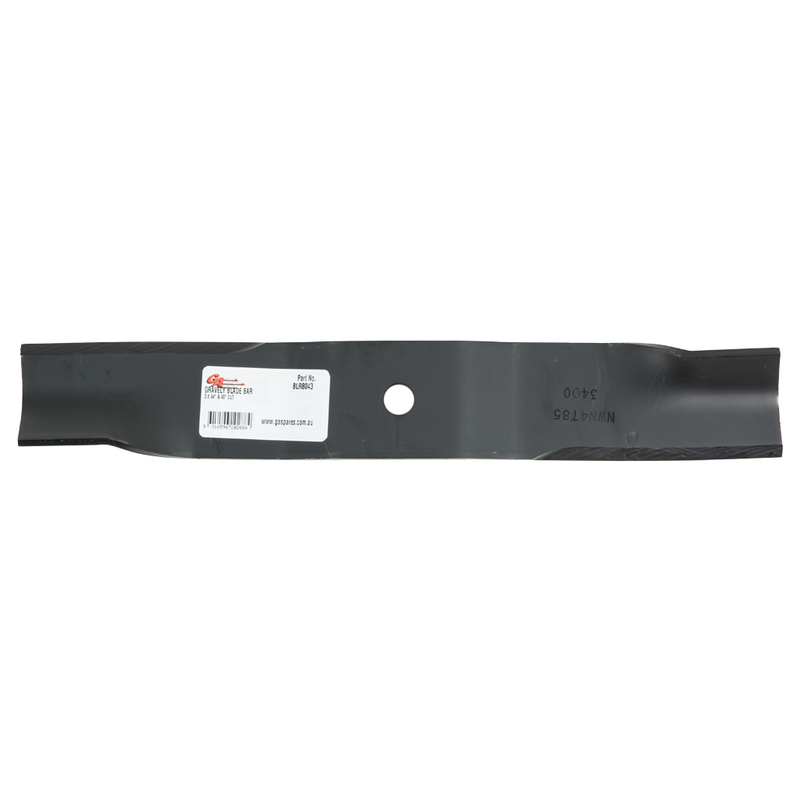 44" (1118 mm) cut GRAVELY Compact-Pro 44 (model 991089 with serial # breaks 000101 - 019999, 020000 - 040999, 041000 - 049999, 050000 and onwards), ZT HD 44 (model 991090 with serial # breaks 000101-009999, 010000 - 019999, 020000 - 029999, 030000 - 034999, 035000 - 059999, 060000 and onwards and model 991107 with serial # breaks 035000 - 044999, 045000 - 049999, 050000 - 059999, 060000 and onwards) zero turn ride-on lawnmower models. ards) zero turn ride-on lawnmower models. Stepped and fluted, right hand cut. All blade bars are sold as singles, order the quantity required to make up a set.